1970's cafe racer retro style leather jacket. 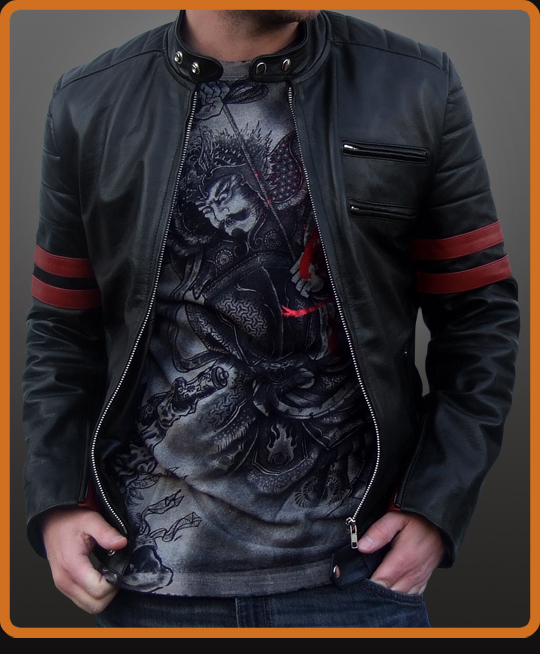 Unique look including sleeve bands, coloured cuff and body zip trim and double YKK zippers on the chest.Biker style collar. Available in Black/Red.